THE PRESIDENT: Thank you very much. Thank you. And thank you, Chaplain Hurley. We’re honored to be joined today by members of Congress, military leaders, and distinguished guests. I also want to thank Congress, and we have some members here. Buddy Carter. Buddy. Thank you, Buddy. (Applause.) Martha McSally. Great, Martha. (Applause.) James Comer. Thank you very much. (Applause.) Thank you for being here. Thank you very much. Special day. Though he could not be here this afternoon, I want to thank Majority Leader Mitch McConnell for his years of work to make this day very special. He worked hard. And he’s working hard right now on a lot of other things. But I will say, he worked very hard. So we thank Mitch. Thank you. And to all of the guests who traveled from two of my favorite states and places, Kentucky and Tennessee. They like me in Kentucky and Tennessee. (Laughs.) Welcome to the White House. It’s great. Two great places. Today, we tell the story of an incredible hero who defended our nation in World War II, First Lieutenant Garlin Murl Conner. Although he died 20 years ago, today he takes his rightful place in the eternal chronicle of American valor. And that, as you know, is what this is. This is the great, great men and women. It’s American valor. We’re thrilled to be joined by his amazing wife, Pauline. Pauline, thank you. Don’t get up. Save it for later. (Applause.) I got to know her a little bit ago in the Oval Office, and she’s a very special woman with a very special family. She’s 89 years old today, and she’s going strong, I have to say. Going strong. Keep it going. She hoped and prayed she would live to see this day. Pauline is truly a wonderful, incredible person. And it’s my privilege to be with you today as we award your late husband our nation’s highest military honor. For today’s Congressional Medal of Honor presentation, we’re also joined by Pauline and Murl’s son Paul — thank you, Paul — their grandchildren Rachel, Kara, Kailyn, and Brett, who serves in the Navy. Stand up, please. Submariner. He’s a submariner. Submariner. (Applause.) Along with their four great-grandchildren: Ethan, Aiden, Annabelle, and Bellarose. Thank you very much. Thank you for being here. That’s great. You have great genes. Lieutenant Conner must be looking down from Heaven, proud of this incredible honor, but even prouder of the legacy that lives on in each of you. So true. Finally, to the two previous Medal of Honor recipients who have joined us today, we salute your service and we thank you on behalf of one very large, very powerful, and very grateful nation. Thank you. Where are you sitting or standing? Please. Thank you very much. (Applause.) Thank you very much for being here. It’s a great honor. The American hero we honor today came from a farm near Albany, Kentucky. Murl was one of 11 children. He grew up during the Great Depression and dropped out of school after the 8th grade to help provide for his family. A wonderful family, but they weren’t rolling in cash. Right? But they were wonderful. In March of 1941, Murl enlisted in the Army and joined the Third Infantry Division. For 28 months straight, he fought on the front lines in 10 campaigns. He was wounded seven times, but he couldn’t stop. He loved it and he loved our country. On the shores of Sicily, the beaches of Anzio, and the snow-covered mountains of France, he fought with everything he had to defeat the Nazi menace. In January of 1945, as the final days of the Battle of the Bulge — well-known fight — General, that was a tough one, right? Was that a tough one? They taught you that? I know you weren’t there, but that was a — (laughter) — that was a — I hope you weren’t there, otherwise — (laughter). Jesus. Kelly was there. (Laughter.) But that was a rough one. They study that one. The U.S. Third Infantry Division was engaged in a fierce battle with the Nazis in Northern France. At the time, Lieutenant Conner was in a field hospital being treated for a painful hip wound — one of many — and was scheduled to be sent back home. He was wounded so often, so much, but he didn’t want to go home. He snuck out of the hospital and he made his way back to his unit. His doctors, his nurses were not happy. Lieutenant Conner wasn’t done fighting yet. In fact, it wasn’t even close. Soon after he arrived, he saw that it was impossible to tell the strength and position of the German. He volunteered to go to the front line and observe the enemy and to help direct fire. In order to communicate with the command post, he took a telephone and hundreds of yards of telephone wire. That was a long time ago, before we had what we have today — called a cell phone. He ran 400 yards, dodging shrapnel, bullets, shells everywhere, artillery trying to hit him. They saw him; they couldn’t get him. He was going every different way. He looked like an NFL star, all the while laying telephone wire wherever he went. When he reached the edge of the forest, he raced 30 yards in front of the American line. Murl laid a shadow ditch, and he laid down in this hole, this shallow ditch, where they could still see him. It was only one foot deep. In front of the lone American soldier were six German tanks and hundreds of German soldiers. As bullets flew all around him, Lieutenant Conner directed artillery fire, each time successfully decimating the enemy. They knew he was there and they couldn’t get him. At one point, a German soldier came within five yards of Lieutenant Conner before being shot and killed. For three hours, the bloody battle raged on. In the last attack, swarms of German soldiers rushed forward. When they were nearly on top of Lieutenant Conner, he ordered fire on his own position — exactly where he was — courageously choosing to face death in order to save his battalion and achieve victory for freedom. And those people that were with him, many of them now gone, said it was the single bravest act they’ve ever seen. He had shells dropped right on him. “Aim at me,” he said. “Aim at me.” Well, they missed him by feet. But he kept calling in, “More rounds. More rounds,” until the blanket of fire broke the German advance and the enemy retreated, saving so many American lives. Lieutenant Conner’s courageous actions killed roughly 50 German soldiers, injured 100 more, and saved so many American lives. They don’t even have the count. Somehow, Lieutenant Conner survived the attack. Less than four months later, the Nazis surrendered. And that was a big, big day. Soon after Murl came home, his town organized a parade to celebrate his heroic deeds. One of the speakers was the legendary World War I hero, Sergeant York. You know all about Sergeant York. All my generals, they know about Sergeant York. Right? As she puts it, “I was expecting a giant of a man.” Because he was a big hero already, and she hadn’t met him. But they were giving a parade. I was asking her about it. And she expected this big, powerful guy. But when she saw Murl, he was 5-foot-6 tops, 120 pounds. And she told her mother, “That little guy could not have done all of the things that they said he’s done.” (Laughter.) Couldn’t be possible, right? She soon saw for herself the extraordinary courage and devotion that burned like a righteous fire in his soul. It’s all about the soul. Murl embodied the pure patriotic love that builds and sustains a nation. Just a few months later, Murl and Pauline were husband and wife. Together, they lived, loved, and thrived through 53 years of an incredibly great marriage. Was it good or great, Pauline? Huh? MRS. CONNER: (Inaudible.) It was great. THE PRESIDENT: It was great. That’s good. Oh, boy, I’m glad she said that. (Laughter.) We might have had to cancel the rest. That would have been terrible. (Laughter.) She said it was great. Today we pay tribute to this Kentucky farm boy who stared down evil with the strength of a warrior and the heart of a true hero. Lloyd Ramsey, Murl’s commanding officer, described him this way: “I’d never seen a man with as much courage and ability as he had. I usually don’t brag on my officers, but this is one officer nobody could brag enough about and do him justice. He was a real soldier.” That’s some quote from his commander. Lieutenant Garlin Murl Conner was indeed a giant. In his daring, his devotion, and his duty, he was larger than life. And that, he was. He will never, ever be forgotten. We will never forget his story. And we will always be grateful to God for giving us heroes like Murl and you two gentlemen. We didn’t forget you, two great gentlemen. And, by the way, all of these great soldiers and truly brave warriors that do such an incredible job protecting the people of this country — and we mean that 100 percent. So everybody in uniform here today, we thank you. 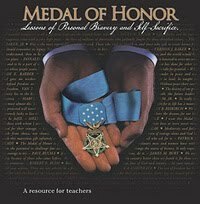 I would now like to ask Pauline to come and accept the Congressional Medal of Honor for her husband, and for the military aide to read the citation. MILITARY AIDE: The President of the United States of America, authorized by Act of Congress, March 3rd, 1863, has awarded in the name of Congress the Medal of Honor to First Lieutenant Garlin M. Conner, United States Army, for conspicuous gallantry and intrepidity at the risk of his own life above and beyond the call of duty. First Lieutenant Garlin M. Conner distinguished himself by acts of gallantry and intrepidity while serving with Company K, 3rd Battalion, 7th Infantry Regiment, 3rd Infantry Division. On the morning of January 24, 1945, near the town of Houssen, France, German forces ferociously counterattacked the front left flank of the 7th Infantry Regiment with 600 infantry troops, six Mark VI tanks, and tank destroyers. Lieutenant Conner, having recently returned to his unit after recovering from a wound received in an earlier battle, was working as the intelligence officer in the 3rd Battalion Command Post at the time of the attack. Understanding the devastating effect that the advancing enemy armor could have on the battalion, Lieutenant Conner immediately volunteered to run straight into the heart of the enemy assault to get to a position from which he could direct friendly artillery on the advancing enemy forces. With complete disregard for his own safety, Lieutenant Conner maneuvered 400 yards through the enemy artillery fire that destroyed trees in his path and rained shrapnel all around him, while unrolling telephone wire needed to communicate with the battalion command post. Upon reaching the battalion’s front line, he continued to move forward under the enemy assault to a position 30 yards in front of the defending United States forces, where he plunged into a shallow ditch that provided minimal protection from the advancing enemy’s heavy machine gun and small-arms fire. With rounds impacting all around him, Lieutenant Conner calmly directed multiple fire missions, adjusting round after round of artillery from his prone position, until the enemy was forced to halt its advance and seek cover behind a nearby dike. For three hours, Lieutenant Conner remained in his compromised position, enduring the repeated onslaught of German infantry, which at one point advanced to within five yards of his position. As German infantry regrouped and began to mass in an overwhelming assault, Lieutenant Conner ordered friendly artillery to concentrate directly on his own position, having resolved to die if necessary to destroy the enemy advance. Ignoring the friendly artillery shells blanketing his position and exploding mere feet from him, Lieutenant Conner continued to direct artillery fire on the enemy assault swarming around him until the German attack was finally broken. By his heroism and disregard for his own life, Lieutenant Conner stopped the enemy advance. The artillery he expertly directed, while under constant enemy fire, killed approximately 50 German soldiers and wounded an estimated 100 more, preventing what would have undoubtedly been heavy friendly casualties. His actions are in keeping with the highest traditions of military service and reflect great credit upon himself, the 3rd Infantry Division, and the United States Army. Army 1st Lt. Garlin Conner receives a commendation during World War II. Conner risked his life against insurmountable odds the morning of Jan. 24, 1945, in the woods of eastern France. For his actions, he posthumously received the Medal of Honor in a White House ceremony, June 26, 2018. After more than 70 years, the late Garlin Conner, a Kentucky farmer and World War II veteran, was finally awarded the medal that escaped him for so long. President Donald J. Trump presented the Medal of Honor to Conner’s widow, Pauline, in a White House ceremony. Trump recalled the morning of Jan. 24, 1945, when Conner ran alone toward an attacking battalion of 600 German soldiers and six towering Panzer tanks in the frigid cold to direct American artillery rounds. The first lieutenant’s actions saved dozens of American lives in the 3rd Infantry Division, the president said. He detailed Conner’s bravery to those in attendance, many of whom didn’t know the extent of Conner’s valor until after his death in 1998. Conner served in 10 campaigns while spending 28 months on the front lines. Pauline Conner, an 89-year old resident of Clinton County, Kentucky, cared for her husband in the later stages of his life, when he suffered from Parkinson’s disease, diabetes and kidney failure. She also participated in the 22-year campaign that resulted in his service being recognized with the Medal of Honor. Conner’s family said in the decades that followed his return from the war, few in his native Clinton County knew about his wartime achievements. Outside of a parade and short speech in May 1945, his exploits were hardly publicized. Pauline said her husband rarely spoke about the war during their entire 53 years of marriage. To put history in perspective, that January day Conner risked his life was more than a year before Trump, the nation’s oldest-elected president, was born. How could one of the most decorated soldiers in U.S. history go for so long without the nation’s highest military decoration? Conner, described by family members as reserved and humble, didn’t pursue the award for most of his lifetime. His family said he didn’t want to appear boastful and would rather give credit to his fellow soldiers. Though work — including interviews with three eyewitnesses — began on the extensive paperwork required for the award, wartime conditions prevented its completion. Conner’s battalion commander, Maj. Gen. Lloyd Ramsey, was injured shortly after the battle, and Conner demobilized in June. Ramsey asked Conner to pursue the award over the years, as the two kept in touch through letters and phone calls until Conner’s death. But Conner declined each time. Many of Conner’s wartime records were lost or not properly documented. 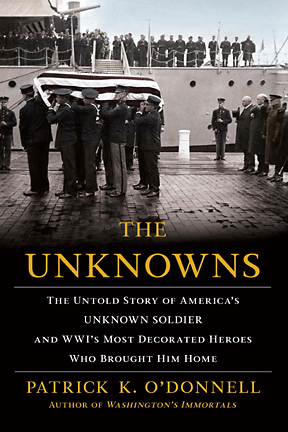 It wasn’t until 2006 that three soldier accounts of that morning in 1945 were discovered in the National Archives. Conner, known to his family as “Murl,” refused recognition for his heroic acts that winter morning. He spoke little about his achievements during the war. And they were extensive. To date, the Army credits Conner with four Silver Stars, a Bronze Star and three Purple Hearts, the French Croix de Guerre and the American Defense Service Medal. 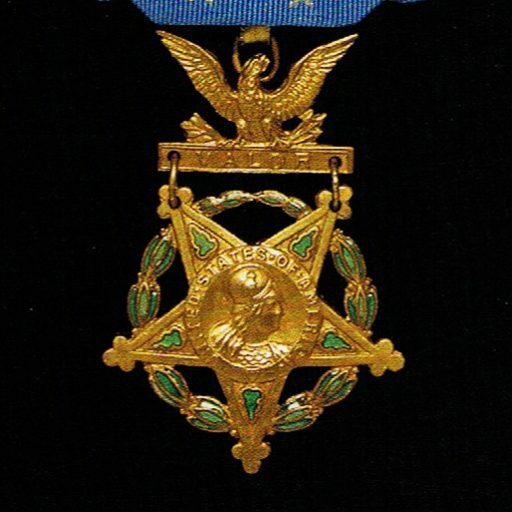 Conner’s relatives acknowledged the soldier might have earned more awards. After joining the Army in 1941 at 21 years old, Conner served during the Battle of Anzio and the invasion of North Africa and earned a battlefield commission at Anzio. Conner, who had already paid a heavy physical toll, had earned a trip home based on his time in service and battlefield accolades. He suffered a sniper wound to his left hip. But knowing a crucial battle loomed, Conner could not leave his unit. Still recovering from the injury, he slipped away from a military field hospital to rejoin his unit in eastern France. On that January day in 1945, Conner ran 400 yards toward the German infantry until he laid in a shallow ditch, with part of his body exposed for three hours, guiding U.S. artillery rounds toward the German infantry. When the German soldiers grew aware of Conner’s actions they soon shifted their focus toward Conner. Trump said waves of soldiers ran toward the Kentucky native. That’s when Conner decided to put his life on the line for his unit, in the most daring fashion imaginable. The onslaught that followed left the six German tanks destroyed, 50 Germans killed and 150 injured. The campaign to get the Medal of Honor didn’t begin until a 1996 meeting with a former Army Green Beret from Wisconsin, Richard Chilton. Chilton was searching for information on his late uncle, Gordon Roberts, an Army private first class who died shortly after landing in Anzio. 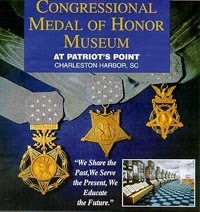 After Pauline presented Conner’s war records to Chilton, Chilton asked if he could pursue the Medal of Honor on Conner’s behalf. At the time, Conner could no longer speak or walk because of kidney and heart failure. Chilton began an extensive process that included compiling legal documents, interviewing soldiers who served alongside Conner and writing dozens of letters to members of Congress. 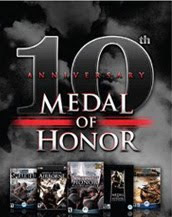 The campaign for the Medal of Honor was bumpy, including a rejection by the Army Board of Corrections in 1997. A later court refused an appeal in 2014, ruling Pauline had not filed her husband’s paperwork in time. It wasn’t until March, when Pauline received a phone call from Trump, that she learned her husband would be assured the U.S. military’s highest distinction. Conner’s 63-year old son, Paul, attended the ceremony, as did Conner’s four grandchildren. Conner’s grandson, Brett, serves in the Navy.